This card is entered into the Crazy Crafters' Team Project Highlight this week. Do take a look at all the great projects and vote for your favourites! I was really happy with the Mondrian inspired card set that I made recently, especially the card box. I knew I would be revisiting the theme sooner or later! The basic card is a 6" square of Basic Black. I cut the long die in the Swirly Scribbles thinlit set from Basic Black card stock and applied the lines onto a strip of Real Red cardstock. I then cut the same die with Pacific Point, Crushed Curry and Daffodil Delight cardstock. I adhered pieces of the coloured cardstock into the Basic Black lines - leaving some spaces red. The strip of red cardstock was wider than the Swirly Scribbles die, so I had to make a join. I then adhered this decorated red strip to the front of the card. I knew I wanted a circular label to cover the join on the front of the card and decided to use the larger of the round Swirly Scribbles dies to decorate the circular label. I wanted to inset the design, so I cut the circle and the Swirly Sribble at the same time from Whisper White cardstock. I removed the Swirly Scribble and kept it for use on another project. 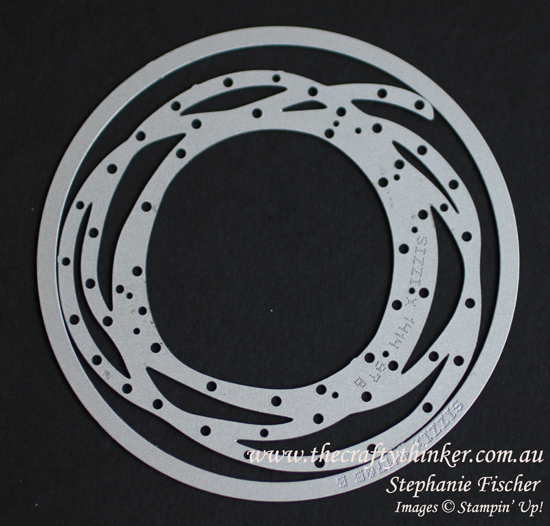 I cut another circle with the same Layering Circles framelit and glued the other white piece onto it. I then the cut the Swirly Scribble again in Basic Black, Pacific Point, Crushed Curry, Daffodil Delight and Real Red. I adhered the Basic Black Swirly Scribble into position on the circle and then glued in a variety of coloured pieces. Since I wanted a smooth surface, I then adhered the Whisper White Swirly Scribble centre back into position and stamped the greeting from Tin of Cards. 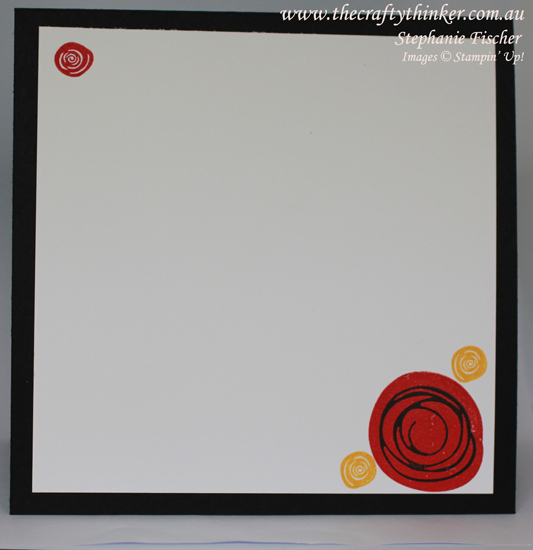 I used the Swirly Birds stamp set with Basic Black, Real Red and Crushed Curry ink to decorate the inside of the card.